WWE Evolution is going to be a historic night for WWE. As the first ever all-women’s special event, we can be sure all the women in the locker room are capable and ready to put on a great show for the WWE Universe. 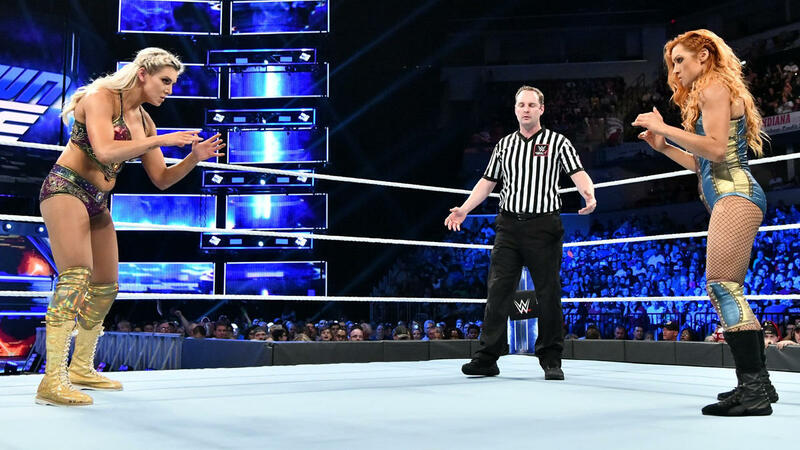 On the blue-brand side of the card, the main event for them is the last man standing match between Charlotte Flair and Becky Lynch for the Smackdown Women’s Championship. The last time the WWE had two women battle it out in this type of match was for Bayley/Banks at TakeOver, and it was definitely one for the history books. Can the Flair/Lynch achieve the same? Will the two women be able to settle their feud once and for all? Becky Lynch is one of the most passionate wrestlers in today’s WWE. The Universe can feel the energy oozing out of her when she makes her entrance, when she’s inside the ring, and when she’s giving interviews. This disposition is what allowed her to be the furious and relentless Superstar that’s holding the championship right now. This same passion is what fueled her to overcome the challenge of Charlotte Flair. Lynch has always had the Flair-sized chip on her shoulder. This all came to boil during SummerSlam when she couldn’t take another loss to the Queen. When Lynch finally won the belt at Hell in a Cell, it was evident in her demeanour that she doesn’t plan on falling second the Charlotte anytime soon. The exchanges and matches that followed showed that Lynch will do everything in her power to keep the belt for as long as possible. It’s a good piece to have when she’ll be competing in a last man standing match. It’s easy to see how a Flair can win any match they’re involved in. Flairs are second-to-none when it comes to wrestling. Father Ric started the whole dynasty. Now, Charlotte is carrying the torch and doing it well in the Women’s division. Her WWE resume shows all the accomplishments and accolades accomplished in such a short amount of time. On her road to greatness, she’s convincingly defeated all challenges that came her way. Charlotte has one weapon that’s going her way in a last man standing match: The Figure Eight. With a finisher that involves breaking down the opponent’s legs, Lynch’s legs will be limp if locked in. Charlotte has to start working the leg early to get the advantage she needs. It will be difficult for Lynch to literally stand and answer a 10 count. Quick Prediction: If it’s a pure wrestling match with a last-man-standing finish, Charlotte over Becky. However, Lynch has a mean streak in her that may be fitting and useful to give her the win in this type of match.